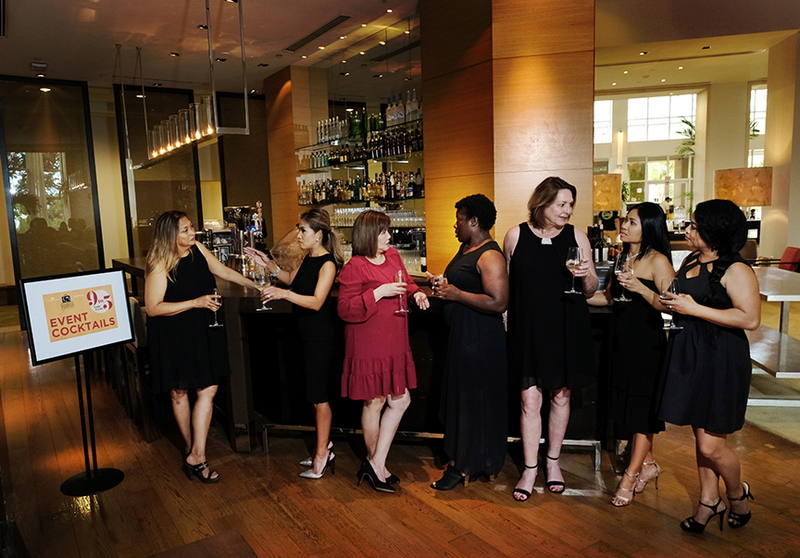 In the 13th year of the First Hawaiian Bank and Guam Business Magazine Businesswoman of the Year award program, seven standout women from Guam and the Northern Mariana Islands were nominated by their colleagues and peers to vie for the prestigious business award. 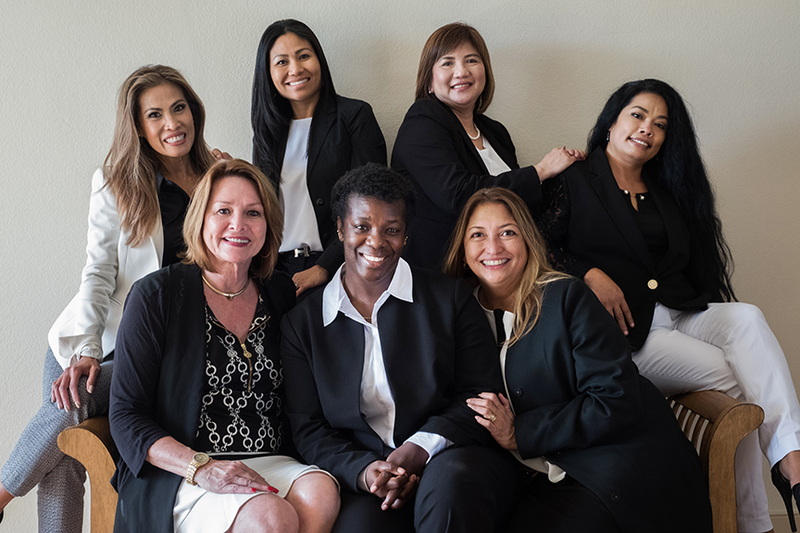 These women join 112 others from Guam and the NMI whom in the past 12 years have been recognized through the program for making significant contributions to their industries and demonstrating a strong commitment to their community. 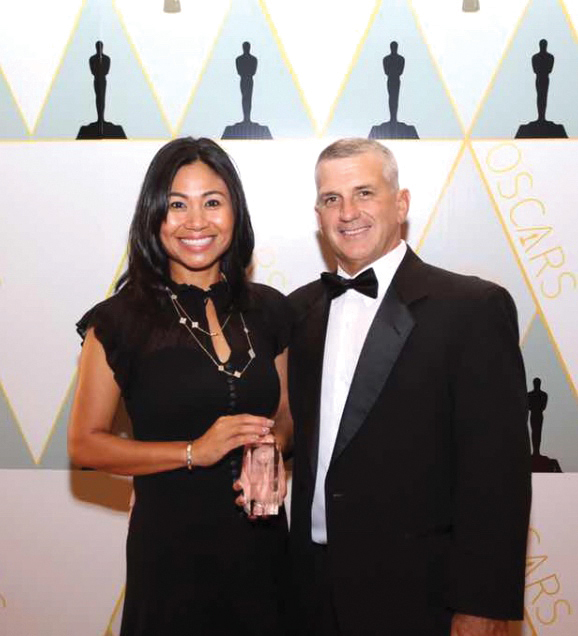 Mary Grace D. Jacot, president and CEO of SET Pacific Inc., was named the 13th recipient of the title and award at the annual Businesswoman of the Year gala held on April 28 at the Hyatt Regency Guam. Premier Sponsors of the event include Hyatt Regency Guam and United Airlines and Elite Sponsors include Docomo Pacific. The gala raises funds to provide scholarships for students at the University of Guam, Guam Community College and Northern Marianas College. Since 2006 the First Hawaiian Bank and Guam Business Magazine Businesswoman of the Year program has awarded a total of $261,975 in scholarships to 132 deserving college students in the NMI and Guam communities. Mary Grace D. Jacot thought she wanted to be a lawyer. But thanks to Theodore von Kármám, a mathematician and aerospace engineer who was one of the founders of NASA’s Jet Propulsion Lab, her ambitions took a turn. Sitting in a high school science class, Jacot came across one of von Kármám’s quote that would, as she describes, send her on a lifelong passion of working with people to build and create. “Scientists discover the world that exists; engineers create the world that never was,” she read from von Kármám’s observations. 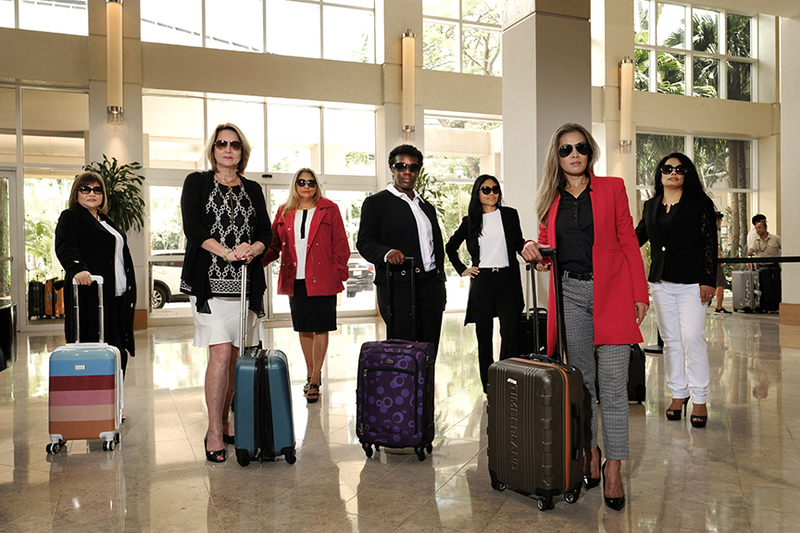 From that moment, Jacot knew that she wanted to be in a field with limitless opportunities and fearless creativity — a goal she now claims she has accomplished in her role as president and CEO of SET Pacific Inc. 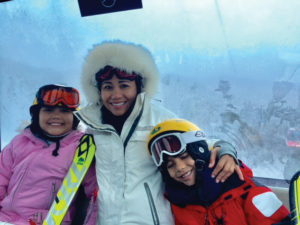 Earning her 1997 associates’ in science and marketing from Kapiolani Community College and her 2000 bachelor’s in finance from the University of Hawaii, for almost a decade Jacot worked in finance and loan management. Her focus on the details earned her constant recruitment for higher positions and movement from banking institution to banking institution, continuing up the ladder at Ameriquest Mortgage, then Countrywide Home Loans, then Charter Funding, which later was acquired by IndyMac Bank — taking on more responsibility and awards as Top Producer in her field beginning as early as 2002. 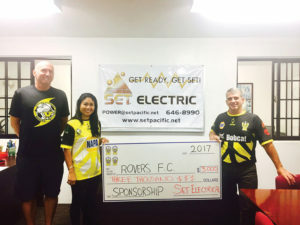 But it was her husband, Ty Jacot’s, professional skills and her commitment to build and grow a company that inspired her to join him in the electrical industry. The electrical industry and construction are conventionally thought of as men’s fields, and Jacot describes the industry in Guam and the Western Pacific as being no less so — primarily dominated and controlled by a cadre of businessmen. “There was a time when a new potential customer’s expectations made them apprehensive when I showed up to meet and negotiate. I constantly battle this preconceived notion by larger corporations that SET Pacific Inc. can’t provide safe, quality work to them on time and within budget.” Further obstacles included instances of intimidation during meetings and questions of Jacot’s competency. But she continued to live by American industrialist Henry J. Kaiser’s credo, that “problems are only opportunities in work clothes.” She always makes a point of being exceptionally prepared during initial encounters, and claims it is that movement of prime contractors perceived low-expectations to the high impact of her and her employee’s knowledge and thoroughness that provides the company the competitive advantage they need to secure contracts. And together with her husband and 20 fulltime and on-call employees at SET, she has. Within the past eight years under Jacot’s leadership, SET has worked with various companies to secure and complete military, civilian and disaster contracts to create a more efficient and integrated power supply for Guam and the Western Pacific region. 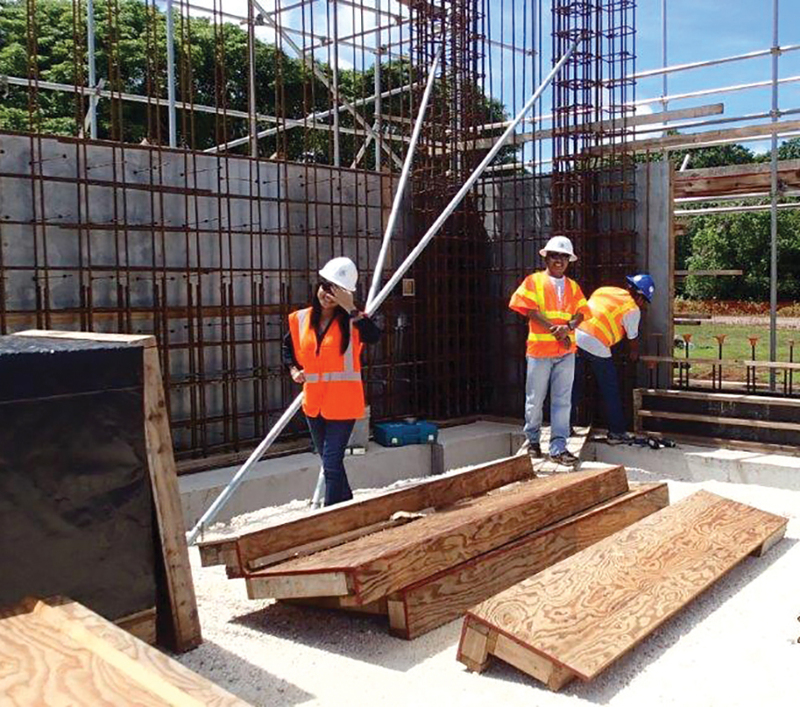 The company has worked with Bulltrack-Watts joint venture, Tikigaq Construction LLC, VT Milcom Inc., APTIM Corp., APC Construction and P&S Construction Inc. to perform electrical upgrades and renovations and high voltage installation at Andersen Air Force Base and Naval Base Guam; worked directly with J.M. Robertson Inc., which does business as AmOrient Engineering, to assess the Tumon streetlight project; and secured a five-year contract with Schneider Electric to perform the AMI Smart Grid Warranty support work. In 2015, SET provided Super Typhoon Soulder electrical recovery support in an effort to provide the people of Saipan power, as well as performed the initial recovery inspections of the switchgear after the Piti Power Plant explosion, later performing the electrical testing support to determine the long-term capabilities of the power facility. Jacot was also actively involved in securing the contract to perform the high voltage transmission line installation from the Dandan solar facility — the first-ever solar plant that connects to Guam Power Authority’s power grid, creating a solar facility that generates enough energy at the full capacity to serve the needs of about 10,000 homes. Within its family, SET has made integrity more than a core value, but has elevated it to an operational imperative, Jacot says. An unwavering commitment to prioritize trustworthiness and be upright above all that SET does has resulted in better brand recognition, a positive business reputation, increased profit and customer loyalty and a greater ability to attract talent and retain staff. Together, the SET family was honored for its hard work, being awarded the 2015 Guam Contractors Association Excellence in Construction Award for the $2 million to $10 million electrical category. In the past year alone, Jacot purchased an M-1 property in Tamuning and broke ground on the construction of SET’s new office and warehouse, certified SET as an 8(a) Small Disadvantaged Business with the Small Business Administration without any third-party assistance and worked closely with the company’s bank and bonding company to successfully establish bonding capabilities for SET. “I approach life with the mindset of constantly striving to be worthy of being blessed,” she says. Which is why Jacot says that SET cannot stop striving to provide better service, nor stop serving the community. 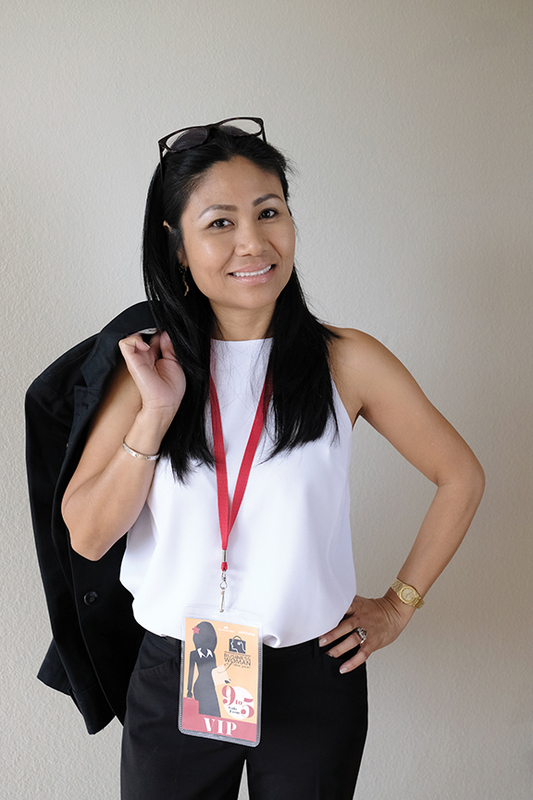 She is an active member of the Guam Women’s Chamber of Commerce, the Guam Contractors Association, the Guam Society of Professional Engineers, the Guam Chamber of Commerce and its Armed Forces Committee, the Society of Military Engineers and Rovers Football Club. SET has donated $3,000 to the football club to benefit the Youth team and grow the Women’s team, volunteered for the Wings Football Club to coordinate games and events, participated in various golf tournaments and sports events, coordinated safety training opportunities in the Federated States of Micronesia islands, sponsored the Guam Masters Basketball Association and continues to support multiple local churches, including St. Francis Church, Our Lady of Lourdes and Dulce Nombre de Maria Cathedral. Yet, Jacot and her husband strive to go beyond the regular “checkbook-philanthropy” in their family, working to foster a genuine sense of volunteerism as a family activity with their daughter Tyanna, 9, and son Trey, 8. Jacot exemplifies this volunteerism in her work with a group at St. Dominic’s Senior Care which helps with feeding elderly parishioners two to three times a month. 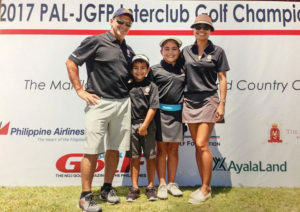 Together as a family, they allow their passion for golf to spread to others by participating in raising $27,000 for junior golfers to compete at the Junior World Golf Tournament, volunteering in the local Junior Golf tournaments and helping fund the Guam Junior Golf team for their international tournament travel. “My children have been my life’s upmost precious gifts. Caring for them and their future seems an almost unfathomable responsibility,” Jacot says. Despite her very busy schedule with mandatory meetings and various functions, she never fails to miss her children’s soccer games and take part in volunteering for their golf tournaments.